We specially selected a half-case of our dry-farmed Zinfandels to help you get a taste of what dry-farming is all about! Each vintage offers different essences of the Zinfandel grape varietal. From the initial full, fruit-forward taste to its peppery-chocolate finish, savor the difference in each year. Our dry-farmed wines bring forth a different essence every year depending on the rainfall. Our organically grown Zins are jammy and complex, each year boasting blackberry, cherry, and cassis flavors, and always a spicy peppery finish. In the dry-farmed Zin half-case sampler you'll compare the first year of drought (2012) through the fourth year of drought (2015). 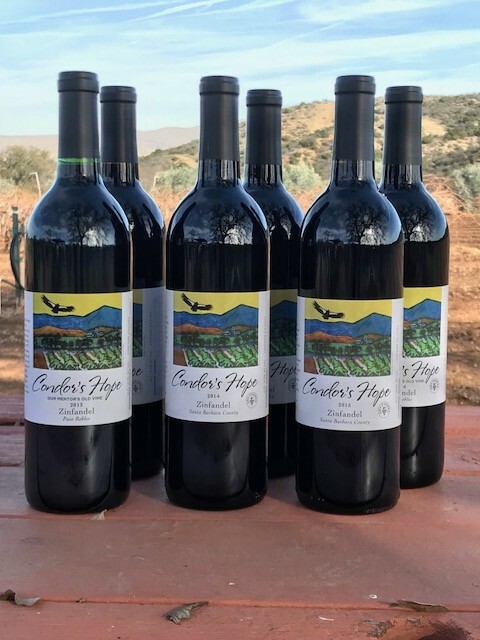 The wines come from three dry-farmed California vineyards: our own in northern Santa Barbara County; that of the Wirz family's in Cienega Valley, and that of our Mentor, Benito Dusi, in Paso Robles whose vineyard is almost 100 years old!